McAfee predictions for the year ahead predict yet more ransomware, along with possible threats to home privacy and even "digital baggage". Ransomware is set to remain a growing threat for the months to come, becoming more virulent and even more profitable for criminals around the world, a leading security firm has predicted. McAfee Labs has today released its predictions for the year ahead, highlighting the issues it feels will be the most prevalent in 2018, with ransomware and IoT security top of the list. The firm says that following the success of major ransomware campaigns in 2017, criminals will only look to continue this trend in the coming months, but will need to create new and more intelligent campaigns. McAfee says that it expects ransomware authors to target less traditional, more profitable ransomware targets, with high net-worth individuals, small businesses and even individual connected devices coming under attack. The change will also allow criminals to use ransomware as part of wider cyber-crime campaigns, making it just a part of cyber sabotage attacks. 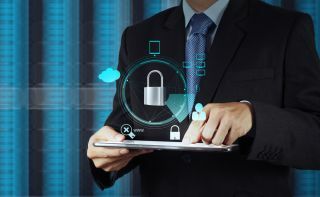 The company adds that this increased profitability, along with a drive for ever greater amounts of damage and disruption will help grow the cybercrime “business model,” as well as leading to a major expansion of the cyber insurance market, as companies of all sizes look to stay protected. “The evolution of ransomware in 2017 should remind us of how aggressively a threat can reinvent itself as attackers dramatically innovate and adjust to the successful efforts of defenders,” said Steve Grobman, McAfee chief technology officer. Elsewhere, McAfee highlights possible privacy issues surrounding connected smart home devices, which are only set to become more popular in the year ahead. The firm predicts that manufacturers of such products, as well as service providers, will seek to overcome thin profit margins by gathering more of our personal data — with or without our agreement. McAfee adds that because customers rarely read privacy agreements, corporations will be tempted to frequently change them after the devices and services are deployed, allowing them to capture more information and revenue - effectively turning the home into, 'a corporate store front'. However this practice may not last long, as McAfee predicts that believes that there will be regulatory consequences for corporations that push this idea too far.